Makhanlal Chaturvedi National University of Journalism & Communication or simply Makhanlal University, is a public university in Bhopal set up by the Act 15 of 1990 of the Madhya Pradesh Legislative Assembly. Named after Makhan Lal Chaturvedi, a renowned freedom fighter, poet and journalist, the university was formally inaugurated by Dr. Shankar Dayal Sharma, the then Vice President of India, on January 16, 1991 becoming Asia's first university dedicated to the field of journalism and communication(which includes information technology and computer science ). Unlike most universities, this University does not have a limited territorial jurisdiction. Nor is it an open university. The Vice President of India is the Visitor to the University.The university helds national level entrance exams each year for admitting students in various courses at its University Teaching Departments.The alumni of the university is working with top-notch companies and orgnisations in India and abroad. 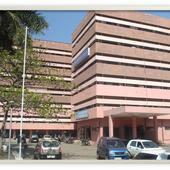 The University has its main campus in Bhopal, Madhya Pradesh India. It also has campuses in Noida, Uttar Pradesh (adjoining Delhi) and at Khandwa, Madhya Pradesh supported by a network of 529 study institutes (as on March 31, 2005) throughout India and Nepal. 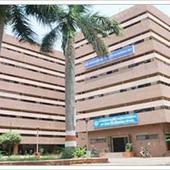 Makhanlal Chaturvedi National University of Journalism, Bhopal has 6 affiliated Colleges. Click here to explore them. Makhanlal Chaturvedi National University of Journalism, Bhopal has 11 Departments listed that offer various academic courses. 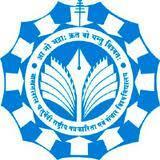 Are you Interested in studying at Makhanlal Chaturvedi National University of Journalism, Bhopal? This page was last modified on 4 October 2015 at 18:10.